What AAMVA doesn’t want you to know about the national REAL-ID database | Papers, Please! 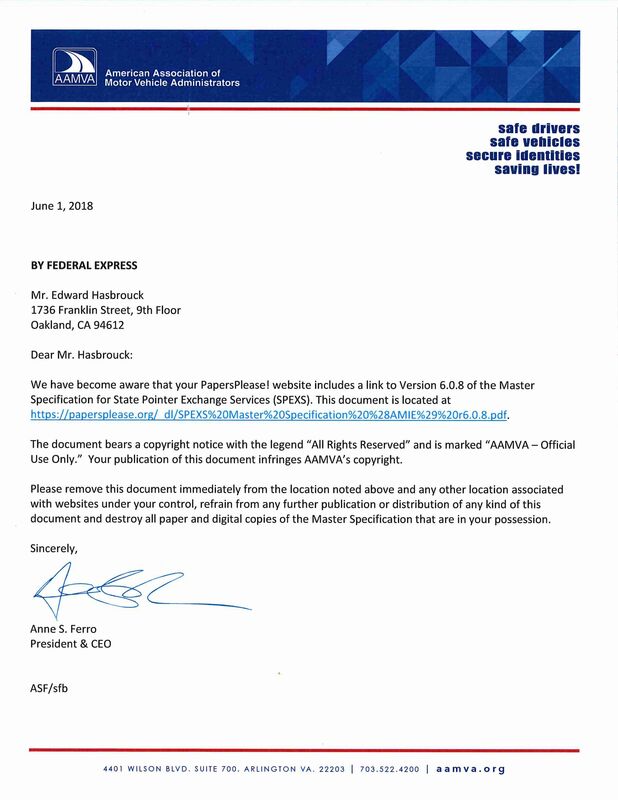 What AAMVA doesn’t want you to know about the national REAL-ID database – Papers, Please! Thanks Edward – you continue to provide excellent reporting on this issue….. If DHS doesn’t already have such a database, then how do they know whether to accept or reject a state-issued ID or DL when it’s run through the eI9 system for job applicants?